Col. Gary Packard is a long time professor at the Air Force Academy and a Developmental Psychologist. He is currently the Vice Dean at the AFA and graduated from the Academy in 1982. In 2010, he served in the Pentagon as a writer on the Secretary of Defense study that preceded the repeal of Don’t Ask, Don’t Tell. He is currently actively involved in the implementation of transgender service policy and is active in a number of social justice issues to include gender and race relations, religious respect, and sexual violence prevention. Col. Packard identifies as a cisgender, straight, white, male Air Force officer. In this presentation, he will share insights on the moral, religious, and social justice conversations that influenced the repeal of Don’t Ask, Don’t Tell and are still surrounding the discussions over transgender military service. He requests that this be an interactive presentation, so bring your questions, comments, and concerns. The views expressed are those of the author and do not necessarily reflect the official policy or position of the U.S. Air Force, the U.S.Department of Defense, or the U.S. government. 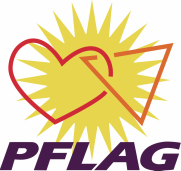 Enter at the corner of St. Vrain & Tejon St.
© Copyright 2018 Colorado Springs PFLAG - All Rights Reserved.